Call C J Richards Electrical and ask them about a maintenance contract for your building before it starts costing you more to replace damaged items. For a free no obligation quote on your control systems please give us a call today. At C J Richards electrical we can supply & install from a white single socket to a complete distribution system for a domestic, commericial & industrial property. 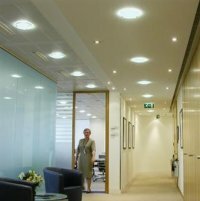 Office lighting has to be designed to meet health and safety guide lines, we are here to help. 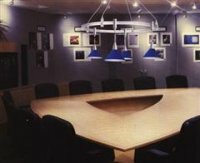 A stylish meeting room can keep your sales staff calm and will help in those all important meetings. At C J Richards Electrical we take environment issues seriously. Solar Electricity panels (Solar PV) generation is not new, it has been around for quite a few years.